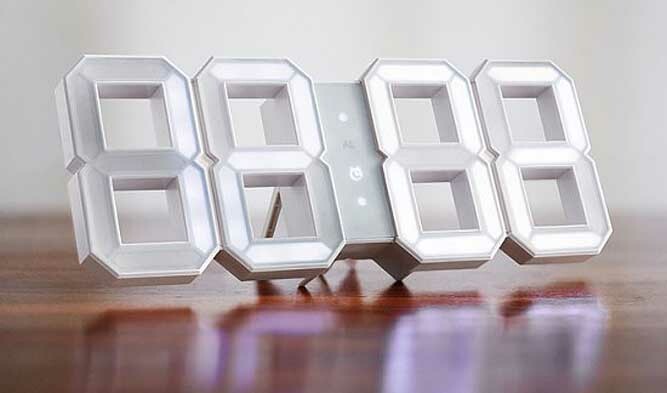 In dark hours the light sensitive sensor changes the brightness of the digits to a less intense white. 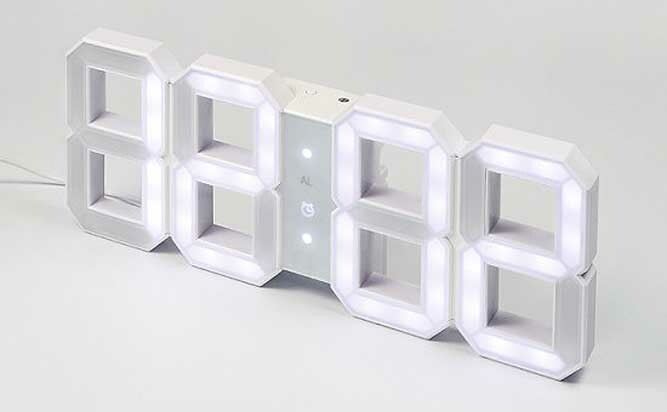 SEE ALSO ▸▸ Mario and Storm Trooper Custom Wall Clocks. Credits: All the photos shown in this set are copyright © Kibardin Design. See their site for more of their items for sale. 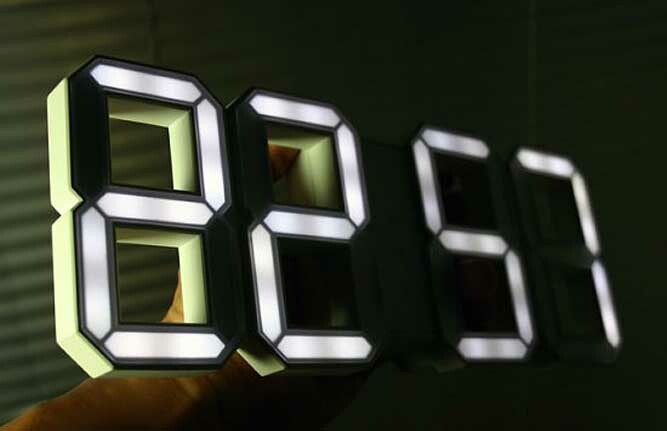 At the monent, this LED clock design is available for pre-order (Not an affiliate link). 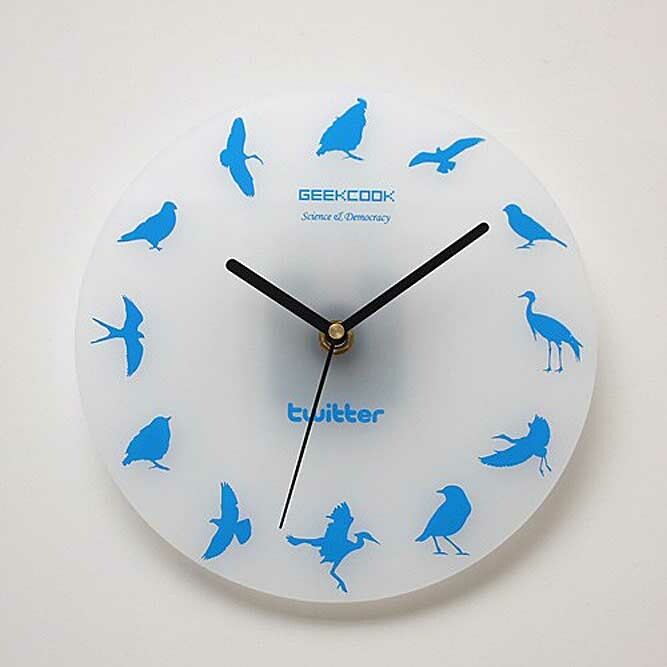 Funky Twitter Clock from Geekcook, which currently available from [READ MORE]. 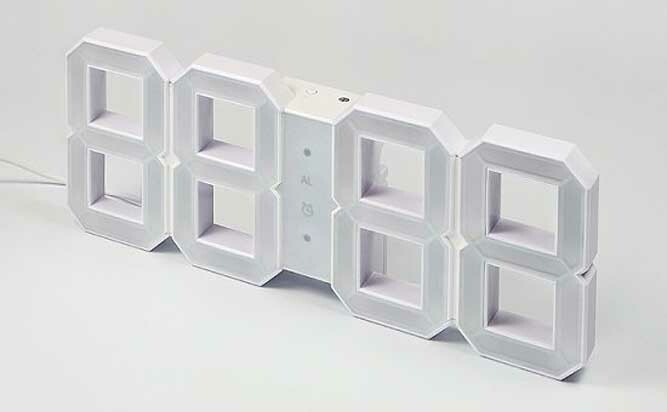 See also: Kids wall clock Designs.